No region in Colorado can beat Summit County as the location of multiple well-known ski resorts. Interstate 70 links Denver to the year-round playgrounds of Breckenridge,Keystone, Copper Mountain and Arapahoe Basin as well as the charming town of Frisco and the crossroads community of Silverthorne. It’s not all about snow and forests as Dillon Reservoir, with 25 miles of shoreline, provides abundant water fun and there are golf courses to play and Breckenridge’s historic downtown with unique shops and restaurants to explore. 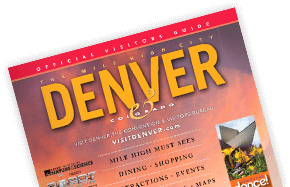 Festivals, concerts, outdoor activities and culinary options galore make Summit County an easy and more than worthy add-on to a Denver visit. Year-round activities at 9,600 ft. available at Copper Mountain include skiing, snowshoeing, overnight back-country hut trips, sleigh rides, horseback riding, golf, hiking, biking, whitewater rafting and more!